The agrochemical industry and its supporters often portray so-called anti-GMO activists as an unduly powerful force whose influence has prevented people in poor countries from accessing nutritious food. But industry critics, such as the advocacy group the Center for Food Safety, have long counter-argued that debates over whether GMOs are safe to eat or not, along with claims that GMOs can feed the world if activists stopped fighting them, are only a distraction from the real controversy at hand. “Genetic engineering is used primarily to develop seeds that dramatically increase use of pesticides the [seed] companies also sell,” the Center for Food Safety wrote in a post last year, in which the group was urging the Department of Justice to reject an impending merger of former competitors Bayer and Monsanto. “Just five companies – Monsanto, DuPont, Syngenta, Dow and Bayer – account for 62% of world seed sales,” the Center wrote. The justice department allowed the merger to happen anyway, putting control of world seed sales in the hands of even fewer companies. And now internal company documents, recently unsealed thanks to a lawsuit that cancer patients have filed against Monsanto, point to the potential dangers that such a heavy corporate influence may bring. The documents indicate that an Environmental Protection Agency official may have allowed Monsanto to taint scientific debate about glyphosate, the key ingredient of Monsanto’s best-selling Round-up herbicide and the most used agriculture chemical in the world. With 220 million pounds of glyphosate sprayed in 2015 alone, people who live near farms as well as consumers everywhere have ample reason to demand more data into the herbicide's safety, as a United Nations report recently argued. But the science continues to be debated even as the herbicide is heavily sprayed. Government agencies all over the world have taken conflicting views on the matter, and United States regulators continue to assert that glyphosate is safe. Many consumers are still not convinced. Nearly two dozen lawsuits have been filed in the United States against Monsanto over concerns that glyphosate can cause cancer. The litigation, now pending, claims that Monsanto has known but failed to warn its consumers or federal regulators about the risks that glyphosate brings. The federal judge overseeing the litigation this week unsealed documents suggesting a close relationship between Monsanto and one federal regulator. When, nearly two years ago, a World Health Organization panel determined that glyphosate is a probable carcinogen, the EPA regulator gave Monsanto advance warning, the records indicate. The newly unsealed records, all emails between Monsanto executives, show that Jess Rowland, a director in the Environmental Protection Agency’s pesticide division, tipped Monsanto off to the WHO’s findings ahead of time. "I should get a medal"
The emails between Monsanto executives also describe an attempt by the United States Department of Health and Human Services to evaluate the cancer-causing potential of glyphosate. Rowland, however, said he would try to kill that review, according to the emails between Monsanto officials. “If I can kill this, I should get a medal,” Rowland had said, according to the description of his comments in Monsanto company emails. The Monsanto executives also described Rowland as someone who “could be useful as we move forward with ongoing glyphosate defense” when he retires. Sure enough, the review never took place and Rowland left his high-level job last year. The emails also show that Monsanto executives made plans to “ghost-write” academic papers asserting that glyphosate is safe and put real researchers’ names on them. (The researchers in question, reached by the Times, denied that they allowed the company to do any ghostwriting on their behalf). 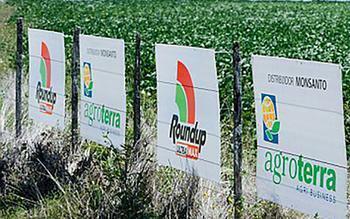 In a statement to news outlets, Monsanto stood by its previous claims that glyphosate is safe. “The allegation that glyphosate can cause cancer in humans is inconsistent with decades of comprehensive safety reviews by the leading regulatory authorities around the world,” Monsanto told Bloomberg. But some researchers and advocates continue to say that there are not nearly enough comprehensive safety reviews affirming that glyphosate is safe. "I think the evidence that glyphosate is carcinogenic is very strong and the EPA just refuses to acknowledge it,” Bill Freese, science policy analyst for the Center for Food Safety, told ConsumerAffairs last year. The EPA last year did organize a panel to once again review the carcinogenicity of glyphosate. Included among the nearly dozen scientists to be in the panel was Dr. Peter Infante, an epidemiologist, researcher, and consultant who spent over two decades working in the Occupational Safety and Health Administration. The EPA included him in the panel, the agency had said, because he "played a major role in determining cancer and other risks to workers” posed by toxic substances such as lead and formaldehyde. But after learning of his inclusion, CropLife America, the trade group that represents Monsanto and other agrochemical companies, wrote a letter to the EPA complaining that Infante "has taken radical anti-pesticide positions.” In particular, the industry did not like Infante’s past criticisms of industry-funded research. “It’s what I call ‘prostituted science,” Infante had apparently said once. Shortly after CropLife complained about Infante, the EPA dropped him from its panel with little public explanation, as ConsumerAffairs reported last year. Infante showed up to the EPA’s panel late last year anyway--as a public speaker. He reportedly said there is “impressive evidence” linking glyphosate to cancer. "Is it conclusive? No, I don't think so,” Infante had told one reporter after the meeting. “But I think that EPA is concluding that there is no evidence. And that's exactly wrong, according to their own criteria." The meeting ended with the EPA's panelists remaining divided over glyphosate's safety. Afteward, law firms and advocates accused the EPA of showing favoritism to industry researchers at the meeting. When the EPA released a report last year also claiming that glyphosate is safe, a senior scientist with the National Resources Defense Council similarly told Reuters that the EPA had based its findings on industry-funded studies.